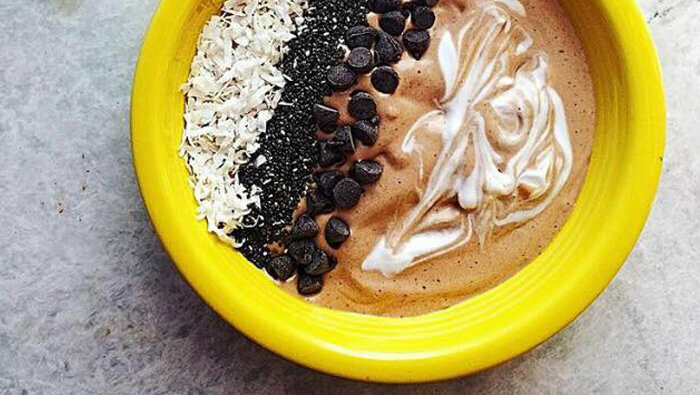 This smoothie contains a ton of antioxidants, fibre and flavour! The spinach and bananas in this smoothie gives you more than twice the amount of recommended vitamin K, your entire days’ worth of vitamin A and 17% of daily potassium. Almond butter has protein and healthy unsaturated fat. Chia seeds are one of the best sources of fibre and work to soak up toxins in your body and add a detoxing effect to this smoothie. Give this recipe a try from Nutritionist Kelly Carter and let us know what you think! Blend until spinach is completely dissolved.